Looking for something fun to do this weekend? 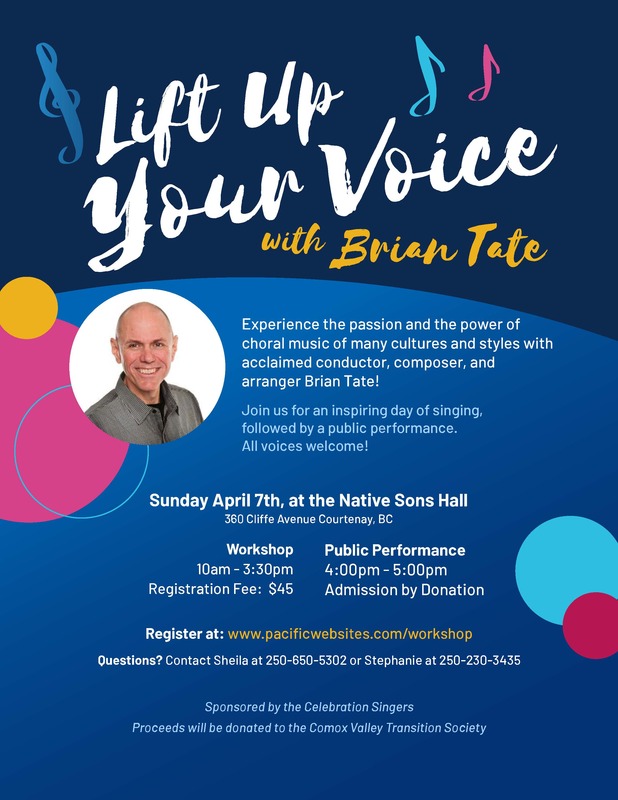 Experience the passion and the power of choral music of many cultures and styles with acclaimed conductor, composer, and arranger Brian Tate. Enjoy a fun-filled day of learning and singing powerful and uplifting songs with universal messages of joy and freedom. Includes a public performance at the end of the day featuring workshop pieces, solo selections from Brian and special guest performances by Jenn Forsland and more! All voices welcome – no experience required. Public Performance: 4 – 5 p.m.